At Wrkit, our mission is to help organisations cultivate happy, healthier working environments, to strengthen and retain a talented workforce. We know an important element of retention starts with attracting the right candidates and finding the right fit for your company. With that in mind we have teamed up with recruitment software company, BidRecruit, to help you hire smarter. BidRecruit simplify difficult & time-consuming tasks so you can focus on finding the right person. In this series of blogs we will discuss current recruitment trends and tips and tools available to you to enhance your recruitment. BidRecruit was founded in 2016 by 2 recruitment specialists who saw a gap in the market and knew there was an easier, more efficient way to hire. BidRecruit utilises the principle of 3 steps to successful hiring: engage, manage, report. Our software allows you to post a job across all major job boards, social media and your careers page in one easy step. Then with our A.I. technology and automation we have streamlined the complete hiring process from scoring and matching CVs to interview scheduling and team collaboration. Also, an important element of our software is the ability to analyse how you hire, improving the process whilst making real savings. Our clients have seen a 50% reduction in hiring admin and up to 75% savings on recruitment costs. Most importantly, our clients have seen a genuine improvement in the quality of candidates and people they hire. Q2: What are the biggest challenges your clients face when hiring? For nearly all of our clients, the number one challenge they face is candidate volume & quality. We are now in a candidate driven market, with 70% of candidates being passive job seekers i.e. they’re not even looking for a job! Therefore to attract the right talent, you need to be seen. As our software allows you to post to every major job board, social media and your careers pages, we are giving your roles more exposure. Where one job board might be effective for one role, it may not be the case for another. When it comes to recruitment it’s not a “one size fits all” and we have a way to combat that. Further to this, how people hire has to change and adapt, the old method of recruitment is outdated and very time intensive, many HR Managers state that recruitment is 25% of their job but takes up 95% of their time! There is an imperative need to improve efficiency, allowing more time to focus on employee engagement and retention. Q3: What trends in recruitment do you see growing in 2019? Definitely companies embracing A.I. and automation to recruit is the biggest trend we see growing in 2019. This is in large part due to the above points, to save time and to increase candidate quality & volume. Further to this, it helps you to hire smarter. Use of A.I. & automation allows you to take back more control of the important ‘human’ elements of hiring. Removing admin during recruitment allows you to focus on interviewing, researching and considering the most suitable candidates. Another area of focus in 2019 is candidate experience. With review platforms like Glassdoor and Indeed becoming increasingly popular, companies have to ensure candidates feel positively about their experience irrespective of their hiring success. As a recent LinkedIn survey reported, 83% of talent says a negative interview experience can change their mind about a role or company they once liked. Where a lot of companies fall down is a lack of communication at screening and interviewing stage. For many hiring managers and HR departments this is of course not intentional but due to time constraints when replying to all candidates. Again, automation is an excellent way to overcome this issue as it allows you to instantly communicate with multiple candidates, therefore improving candidate experience. Q4: What tip would you give to hiring or HR managers looking to invest in HR software? Do your homework on what you actually need. Where companies might not see the value in recruitment software due to tight budgets, if you hire more than 5 people a year you definitely would see the benefits of software. Do the maths on the cost per hire i.e. recruitment and social marketing costs, potential recruiter costs, sponsored job boards, onboarding & training costs, benefits, relocation costs etc. You would be surprised how much it is costing you to hire and where you are possibly investing money in the wrong places. The best place to start is with your HR team, survey the team to ascertain where their pain points are, where they need to see improvements and what their goals and objectives are for the year. Where your company may not have had the capacity to focus on employee engagement previously, taking on recruitment software and investing in employee engagement strategies combined can drastically improve the quality of new hires and your employee retention rate. Join us next time where we will discuss in more detail the importance of candidate experience when hiring and our top tips to ensure your hiring experience is at its best. BidRecruit is A.I. driven recruitment software for HR & Hiring Managers to help you hire smarter. Are your top performers too busy to learn? Top performers are usually the most eager to learn and develop in their careers. However, in their 2018 Workplace Learning Report, LinkedIn highlighted that time restrictions are preventing employees from participating in learning programmes. 94% of employees surveyed said that they would stay with an organisation if it invested in their continued development. However, if top performers do not have the time to participate in the available learning programmes, the impact on retention will be diminished. Here are our top suggestions to help you rethink the traditional learning approach, to offer a solution that will satisfy the growth need of those with busy schedules. While the LinkedIn report provides details of general trends, every organisation is different. Conducting a company-wide survey will provide insights about your specific employee population. A well scripted questionnaire can provide valuable insights of population attitudes toward current learning programmes and inform decisions for future learning initiatives. Focus groups will provide greater detail and a more holistic understanding of attitudes than a survey alone. Leveraging both methods will create the strongest business case for new programmes. Allocate time for continued learning. It is not merely classroom and exams that constitute as learning, mentoring and skills sharing workshops can provide an opportunity for time poor employees to integrate learning within their working day. Allocate a specific time for learning workshops which doesn’t interfere with working hours such as breakfast conferences, or lunch and learn workshops. Invite guest speakers or influential senior managers to speak about skills which have helped them progress in their career, the latest industry trends or any topics you deem relevant to your audience. 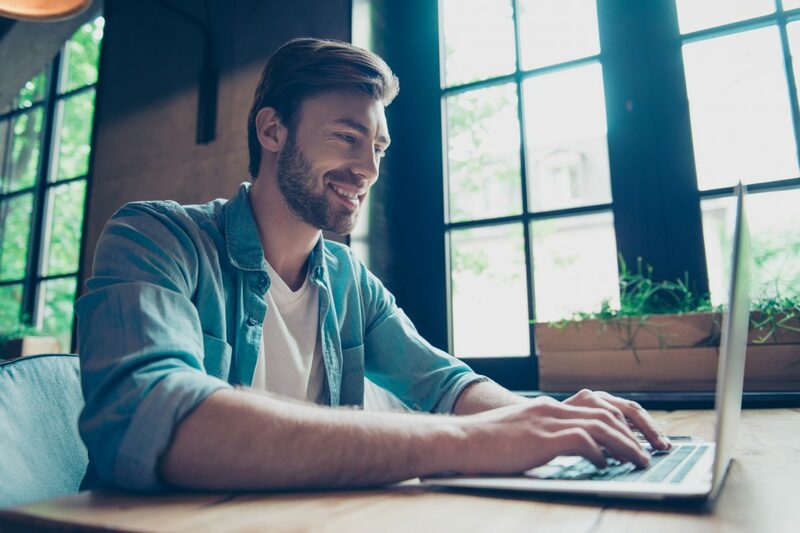 Offering paid study leave and other professional development time off as a company benefit will encouraging employees to access the learning opportunities they want without it inhibiting their working hours. According to the LinkedIn study, 58% of employees prefer to learn at their own pace, and 90% of companies surveyed offer digital learning today. Investing in online education and training resources such as Wrkit Learning can be helpful to ensure employees don’t miss out on learning opportunities. While lunch and learns or morning breakfasts may suit some, undoubtedly there will be clashes, offering a multitude of learning options will capture a greater audience. Supporting employee learning and development will positively impact employee experience, workplace engagement and productivity. Every employee, from entry-level to the executive team, should be afforded an opportunity to develop their professional skill set. Wrkit specialise in the creation of better, healthier working environments. Our platform connects global, remote and local teams through five modules; Surveys, Recognition, POWR, Learning and Savings. Speak to an Engagement Specialist today to find the right solution for your team and culture. Having a sense of purpose at work is a fundamental driver of motivation. Purpose (or lack thereof) has a direct and significant impact on the mental health and wellbeing of employees. Furthermore, the millennial workforce is putting an increasing emphasis on their desire for meaningful work, with a recent Harvard Business Review article stating that 9 out of 10 employees would be willing to earn less money for more meaningful work. As the war for talent heightens, satisfying the personal objectives of talent by facilitating meaningful work will be key to business success across all industries. A challenge however, lies in the variance of perceived purpose associated with different jobs. For example, due to the nature of their work, a medical professional saving lives will likely have a greater internalised sense of purpose that an assembly line worker. For organisations, there is a need to develop comprehensive programmes which increase the meaningfulness of work for employees at every level. When the task itself does not inspire purpose, it is important to cultivate a sense of meaning through company practices and policies. One way to do this is through effectively utilising recognition programmes, coupling company values with peer and manager recognitions. 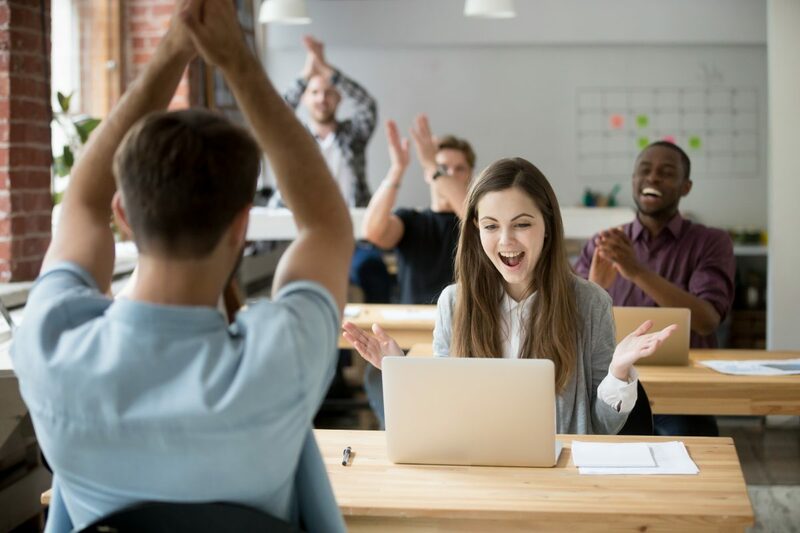 Typically, employees who say they feel appreciated have greater job satisfaction and are less likely to leave their job than those who do not. Moreover, industry research has shown that companies which foster a culture of recognition outperform those that do not. Showing appreciation for individual contributions can help increase the perceived social worth among peers, enhancing the meaningfulness and value of work for employees. There are certain criteria a recognition programme should satisfy in order to have the highest impact. Leadership backing – this is a standard requirement for the success of any new programmes. Company leaders need to embody the behaviour they want to see, making a point of recognising contributions throughout the organisation. The culture needs to be right for a recognition programme to enhance the meaningfulness of work and this should be driven by senior management. Connect to company values – recognising behaviours which align to company values helps reinforce the overall business objective, reaffirming for employees how they should seek to contribute to the company. Make it personal and meaningful – relevance promotes interest and motivation. Provide guidelines for delivering meaningful recognitions. For example, Wrkit Recognition allows the recogniser to choose from a list of pre-set company values as determined by the organisation, choose the type of recognition i.e. well done or great job (these are also set by the organisation) and write a personal note to the person they are recognising. Publicise praise – sharing stories of success increases the affect on social worth, further allowing peers to verbally congratulate and recognise one another. Recognition software often includes a newsfeed style notice board which is great for global or remote teams. Socialise your celebrations –create social occasions to celebrate major business achievements. It is rare that business achievements are accomplished by one individual, make sure that all contributors or contributing departments are named and celebrated. There are of course several internal and external factors which influence how meaningful an individual perceives their work to be. Beyond organisational level practices, managers play a key role in cultivating a sense of purpose within their team. By ensuring every employee knows precisely how their contributions impact the overall outcomes of the business (and/or positively impact society), by offering regular feedback, and by mentoring individuals to achieve their career goals managers can engender greater meaning for others. Wrkit specialise in the creation of better healthier working environments. The Wrkit platform connects global, remote and local teams through five modules; Surveys, Recognition, POWR, Learning and Savings. 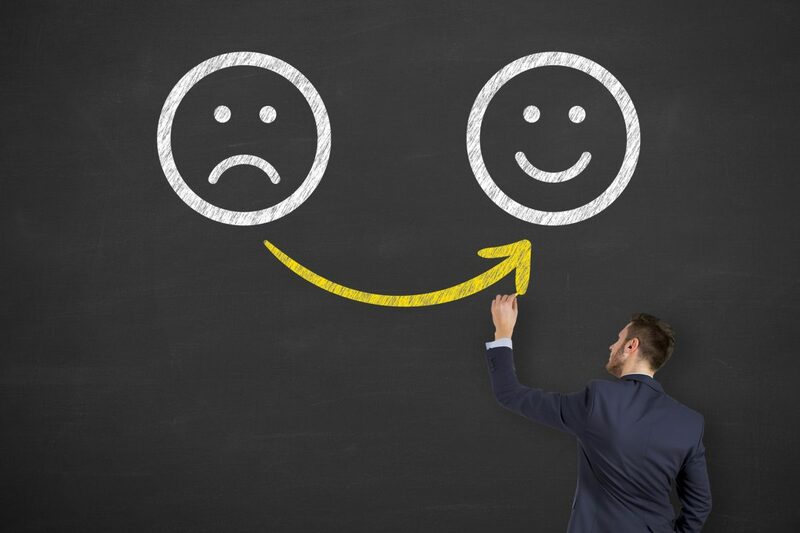 Employee feedback is essential for an organisation to understand and improve employee happiness. 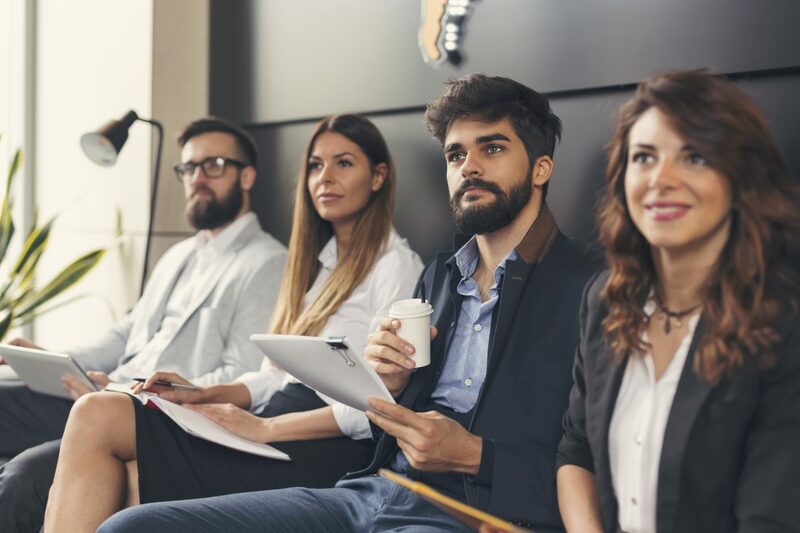 In an increasingly competitive world, retaining talent is more challenging than ever, hence utilising employee surveys is becoming more important. Often organisations will implement tools to help them nurture talent, improve engagement or support employee wellbeing without first assessing their needs. When sufficient internal research isn’t conducted to support decisions it can result in a culture of box-ticking and inevitably wasting money. Wrkit surveys offer employers an opportunity to leverage regular pulse surveys and/or design their own custom surveys. The pulse survey, a fixed regular survey, is trackable over time. Organisations can choose from twenty set questions, including a single eNPS to assess the company mood on an on-going basis. For a deeper dive into cultural specifics the custom survey offers greater flexibility. A large bank of industry validated questions can help shape the survey, or the questions can be written by the survey driver. Improved communication: When employees participate in the process of improving their workplace environment it opens the lines of communication. This can make them feel more empowered, regardless of their position with the company. Creating psychological safety: Encouraging employees to speak up, share their likes and dislikes it contributes to creating a non-threatening work environment. Cultivate a culture of honesty: Surveys provide anonymity and privacy which allows employees to honestly share their opinions. Increased loyalty: If an employee feels that they have a voice they are more likely to have an emotional commitment to the organisation. Increased trust within the organisation: Letting employees know that it is policy to conduct online employee satisfaction surveys can increase trust and confidence with management. Identifying motivational factors: Survey insights can highlight what motivates your team, providing an opportunity to leverage this and boost motivation. Contact us today to find our more about the Wrkit Survey module and how it can benefit your organisation. The way in which we receive healthcare hasn’t changed significantly over the past 100 years. With the average waiting time for patients to see a GP on the rise, and with our increasingly “on-demand” society, it is little wonder that patients and employers are turning to online doctor alternatives. New research commissioned by VideoDoc, revealed that almost 45% of employees said they do not receive any healthcare benefits from their employer. Of those who do, as many as 43% state this is insufficient to cover the cost of their private health insurance. Furthermore, over half (52%) of people questioned had delayed seeking medical advice as they were worried about taking time off work. The research also found that more than a quarter of people (27%) admitted that the most likely reason for having to take a day off work would be for a GP appointment – with one in five going on to say they had actually used a full day of annual leave in order to see their GP. Where there was a fear of having to admit the need to see a GP during ‘office hours’, the national poll showed that excuses started to creep into the workplace with ‘lies about train delays’ or ‘having to work from home to look after a sick child’. The NHS themselves say that 60% of everything during an in-surgery visit in general practice can be dealt with over the telephone and this is before you add the benefit of a secure video consultation platform and specially trained doctors. Online doctor services such as VideoDoc are bringing the doctor’s house call into the 21st century, offering timely, safe and effective online healthcare services. There are huge advantages for people who work within conventional office hours in a location that is often some distance from home. This smart solution means people will no longer have to take time off for GP appointments. They can access the service 8am – 10pm, 7 days a week. So-called “sick days” are resulting in millions of lost working days each year, costing the UK economy £100billion a year (CIPD) and the Irish economy €1.5billion a year (IBEC). On average, employees are absent for six-and-a-half days every year with the main cause of a sick day being ‘minor’ illness. Providing on-demand access to an online GP for immediate diagnosis, and swift prescribing of necessary medication could play an important and innovative role in bringing these figures down. For Wrkit clients and their employees this on-demand service is readily available. Within the Wrkit Lifestyle Savings module employees can avail of VideoDoc services for up to six months free of charge. © Copyright 2017 wrkit.com. All rights reserved. Various trademarks held by their respective owners.